Savings marketplace Raisin has launched in the UK. The Berlin based Fintech has been expanding across the European continent but today they have crossed the British Channel to offer their services to UK savers. Raisin provides an interesting service that leverages technology to help savers to save more. Users of their site can shop around for higher interest rates on their money – regardless of their geographic location. Working alongside its first partner bank BACB, Raisin.co.uk offers savers the convenience of a single registration process to apply for multiple savings products. 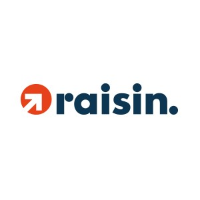 Raisin reports that it is currently on-boarding additional UK banks to the platform and will build a marketplace with a broad range of participating banks and savings products over the coming months.